March against coal-fired power plant in Sompeta, India. Interwoven with these stories of struggle is Klein’s narration, connecting the carbon in the air with the economic system that put it there. Throughout the film, Klein builds to her most controversial and exciting idea: that we can seize the existential crisis of climate change to transform our failed economic system into something radically better. 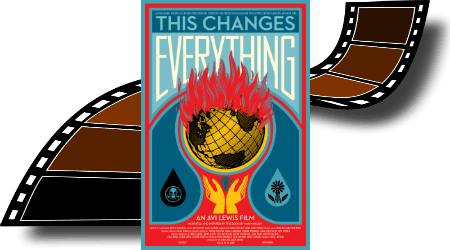 The extraordinary detail and richness of the cinematography in THIS CHANGES EVERYTHING provides an epic canvas for this exploration of the greatest challenge of our time. Protesters against gold mine in Halkidiki, Greece. Help us create the best experience. Let us know you’ll be attending. This entry was posted in Uncategorized and tagged capitalism, Climate Change, Naomi Klein by PPJC Admin2. Bookmark the permalink.